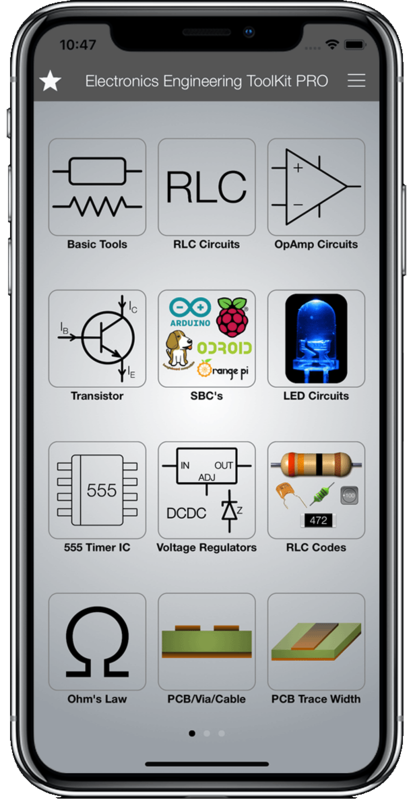 Electronics Engineering ToolKit PRO Electronics Engineering Apps. PRO. From an electronics enthusiast with a master’s degree in Electronics Engineering. For engineers, students and hobbyists and anyone interested in Electronics Engineering. 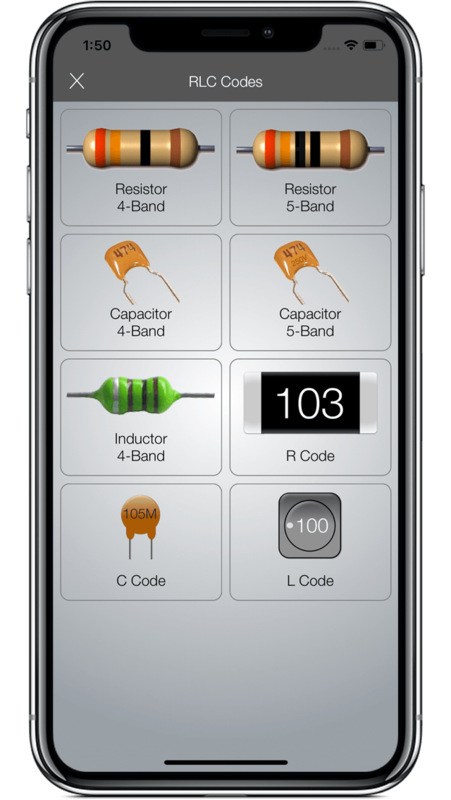 Regular updates over the years have enriched the EE ToolKit with a vast amount of different Electronics Applications. The EE ToolKit comes with an amazingly great multi-functional keyboard! 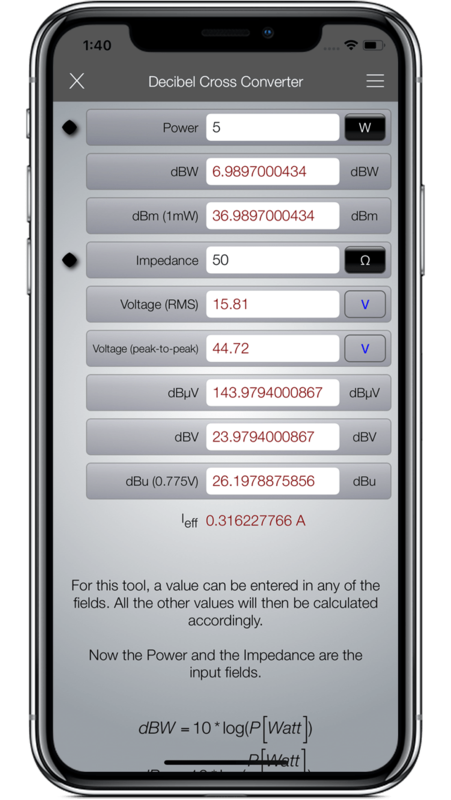 Input of values with units, E Series, tolerances was never easier! Extra large component reference section (incl. 7400 Series, PIC family, etc.) 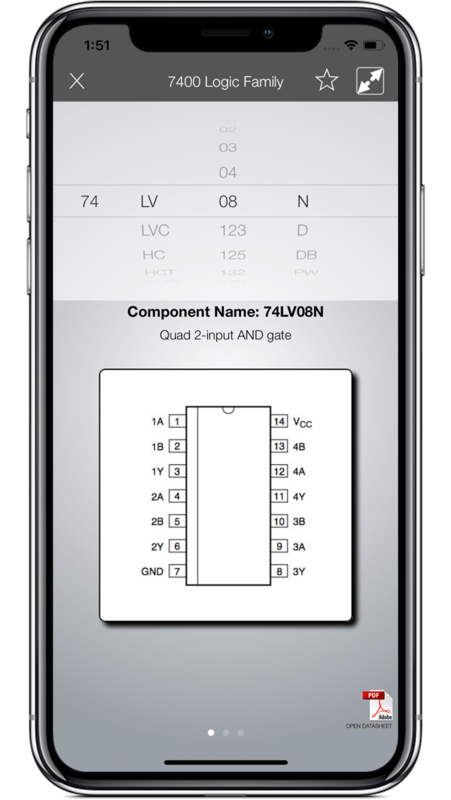 with the option to open pdf datasheets live or by e.g. iBooks. 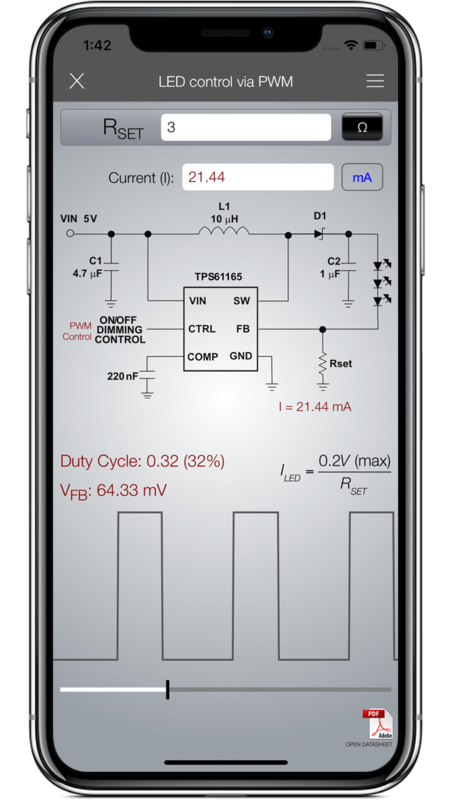 Fast on-the-fly conversions and calculations. 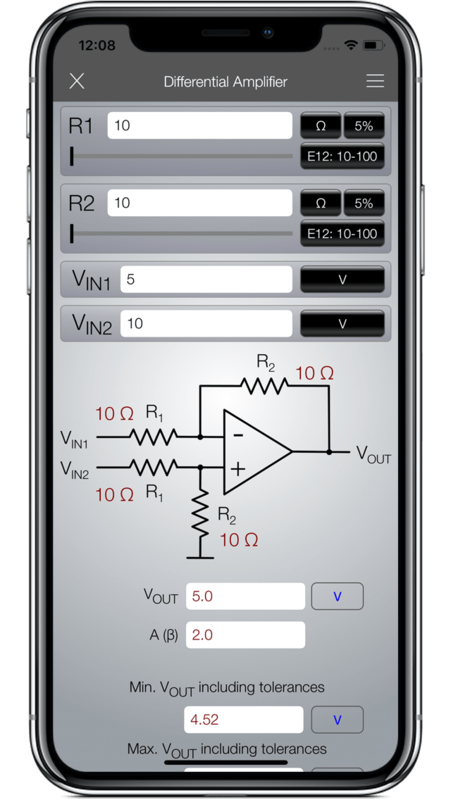 Real-time circuit simulations. 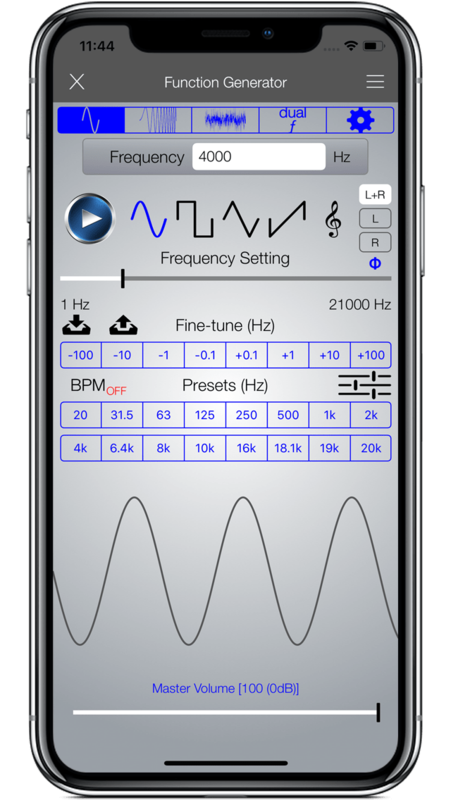 Brand new Audio Scope and frequency pitch detector! 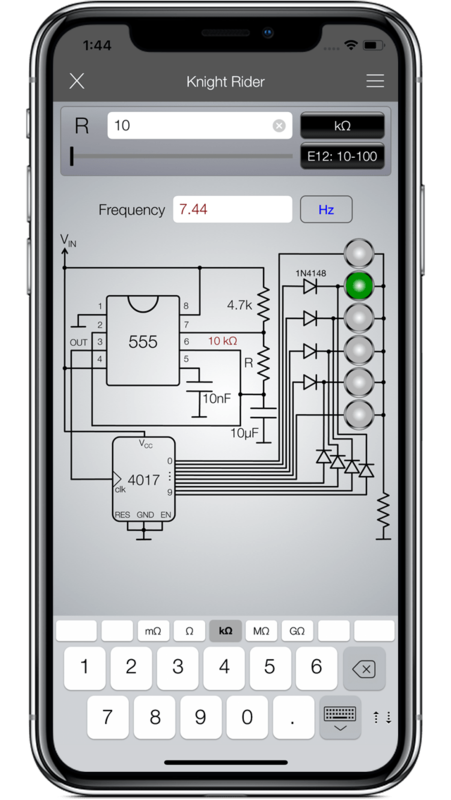 Extremely powerful full-featured frequency generator. 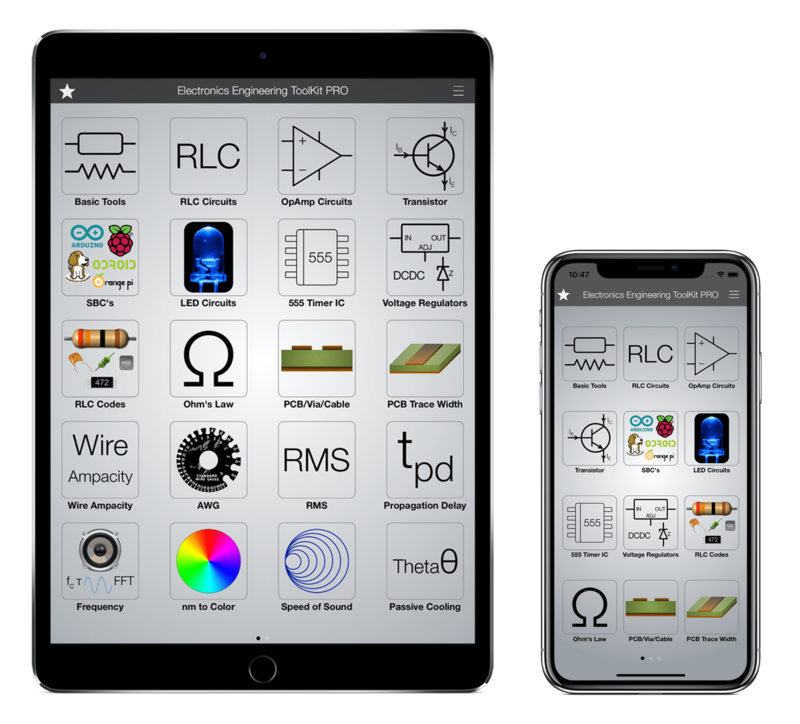 The EE ToolKit PRO is the preferred Electronics App at schools and universities. It is available through the Volume Purchase Program with a discount for educational institutions. 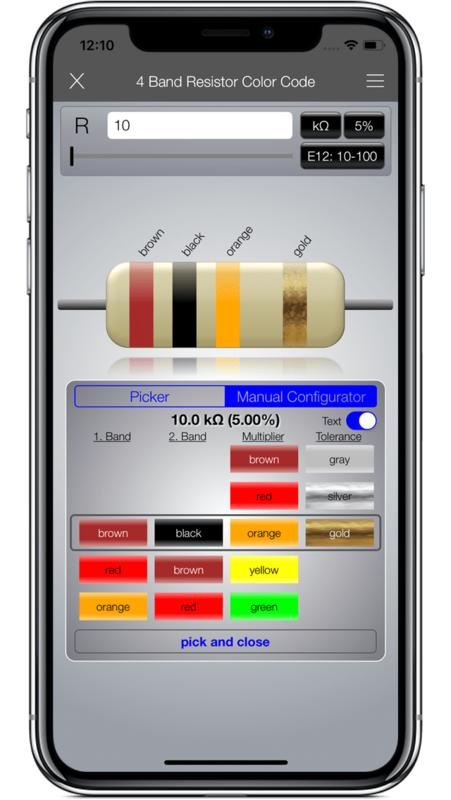 Many students, teachers and professors have downloaded the App and are using it during their studies and career. The EE ToolKit is available in two different versions. • as PRO version. No In-App purchases. PRO always and forever. 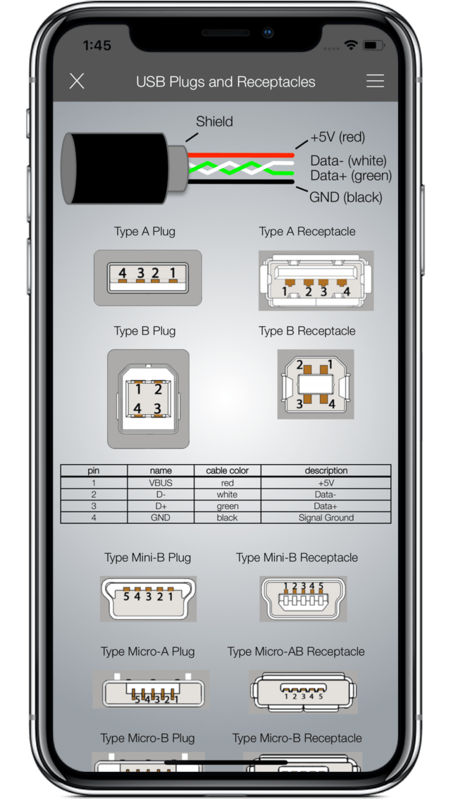 Both versions are universal Apps, designed for iPhone and iPad. I have had this app for a while now. Originally as an Electrical Engineering student I didnt really use it but once I was out in the field it became my bible. I definitely recommend to any engineering students/professionals alike. I also recommend buying the Pro version because it is definitely worth it. 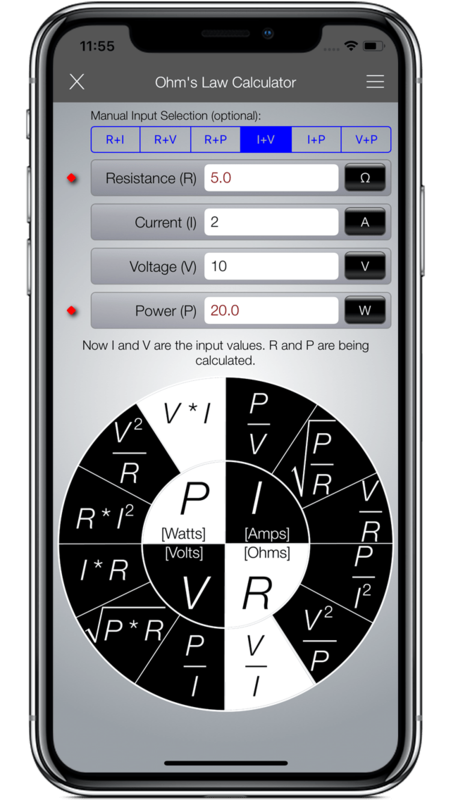 It contains useful information ranging from I/O plugs and receptacles to RLC code guide to a Function Generator. Fantastic application.Very useful. Always updated. Good developer. Lots of great bonus tools. Just love it. This app is packed full of all kinds of goodies. The developer is very dedicated to this app and is continuously updating and improving it. He listens to feedback and strives to make this app useful for all. It just keeps getting better. Best tool kit on the market! 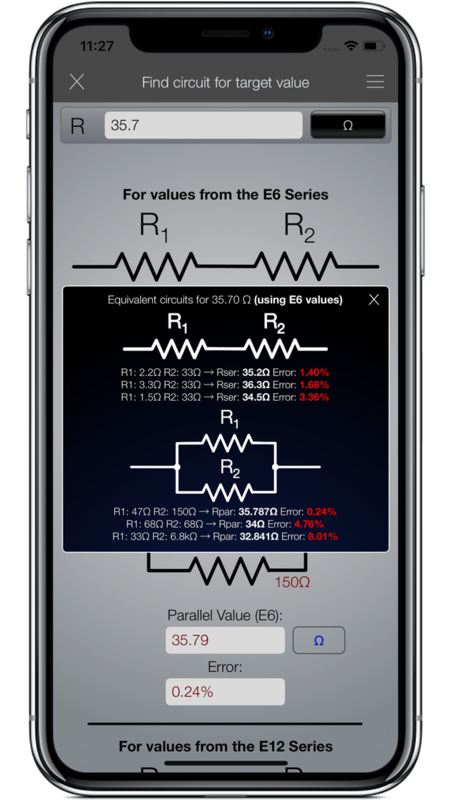 No other tool kit can compare to the numerous formulas, calculators, diagrams, examples, and explanations this app contains. 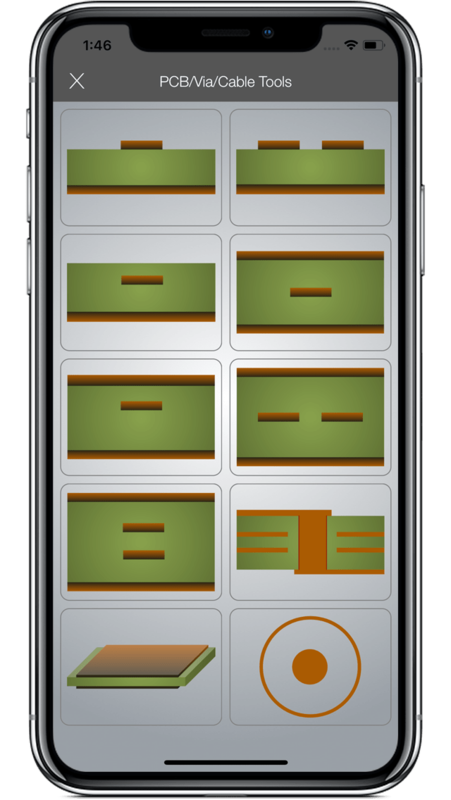 It contains all the information you need when making projects so there’s no need to switch between other apps. I had a lot of these types of apps on my iPad, after looking at and using this (latest) release I have deleted all but EE ToolKit. It has everything I need. Well thought out, a pleasure to use. Everything is in one place. Tools I never thought existed. 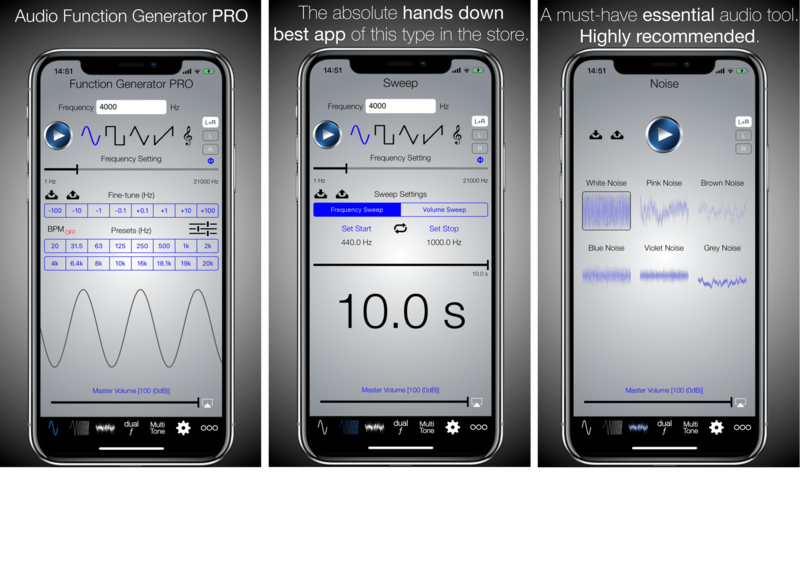 The Function Generator is available in two different versions. • as PRO version. No Ads. No In-App purchases. 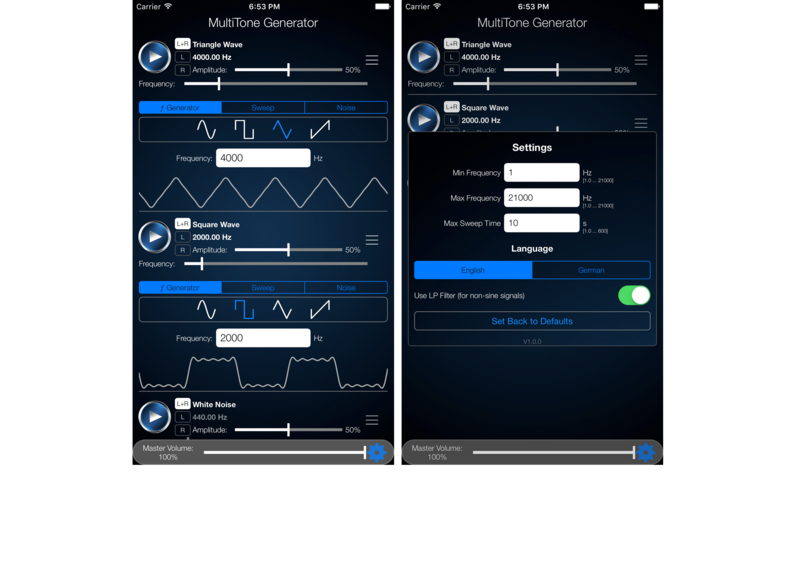 MultiTone Generator with support for Audiobus and Audiobus Remote! 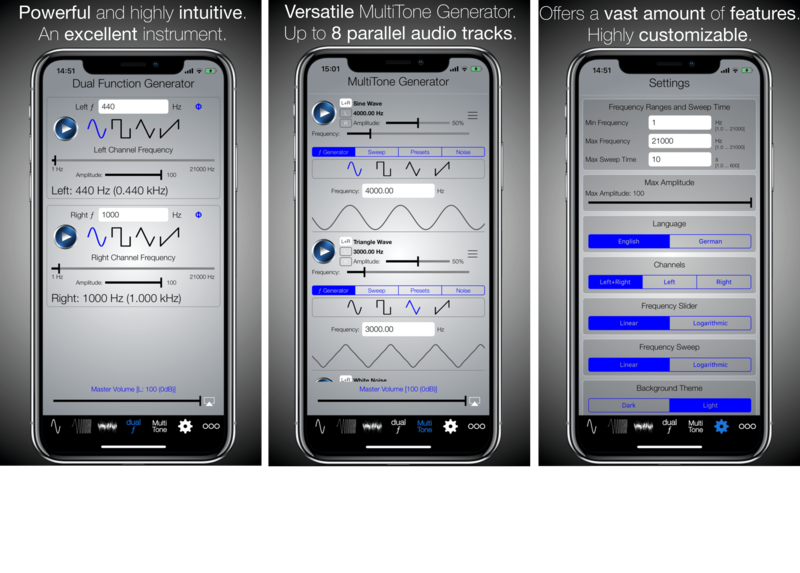 This is the all-new MultiTone Generator! 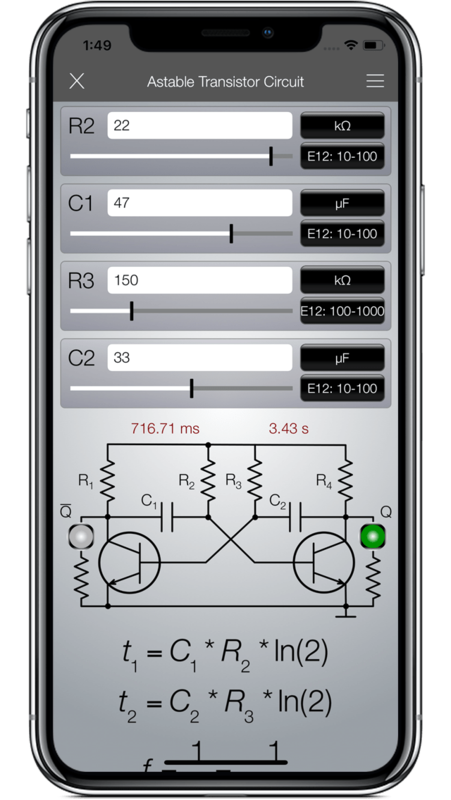 An amazingly flexible and powerful frequency generator! Works with Audiobus and Audiobus Remote! CREATE up to 16 tone combinations. Play them individually or combined. 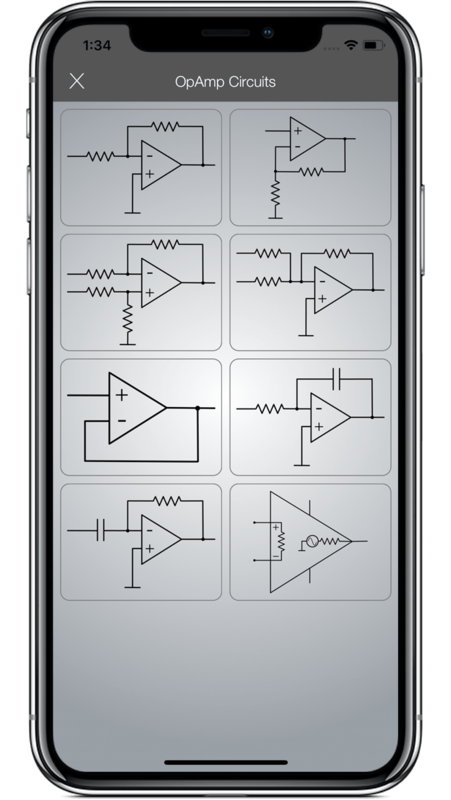 PLAY TEST TONES Sine, Rectangular, Triangular and Sawtooth. 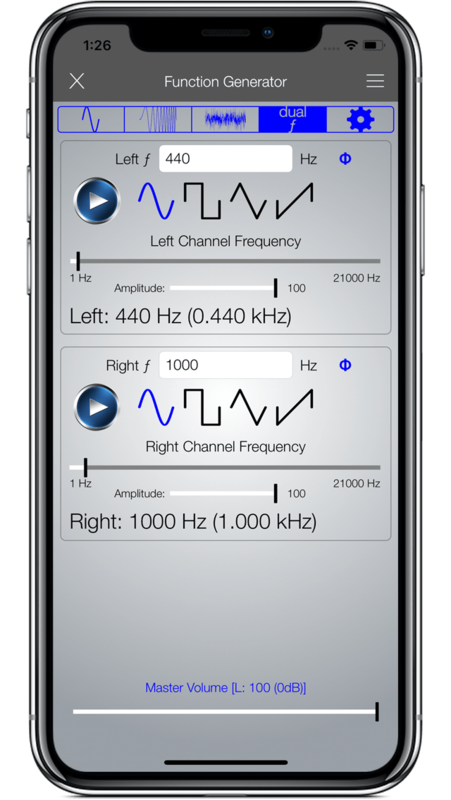 PLAY FREQUENCY SWEEP TEST TONES in both directions (minimum to maximum frequency and maximum to minimum frequency). Use the SWEEP REPEAT / WOBBLE function. 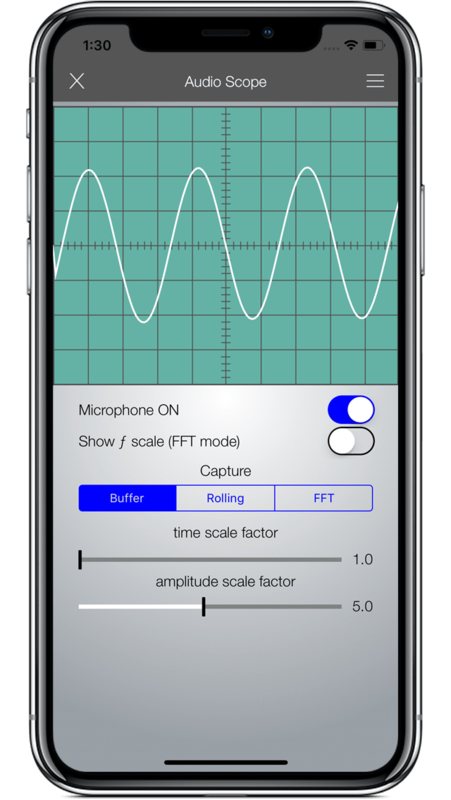 Fully CUSTOMIZABLE Frequency Min-Max ranges and Sweep time range. 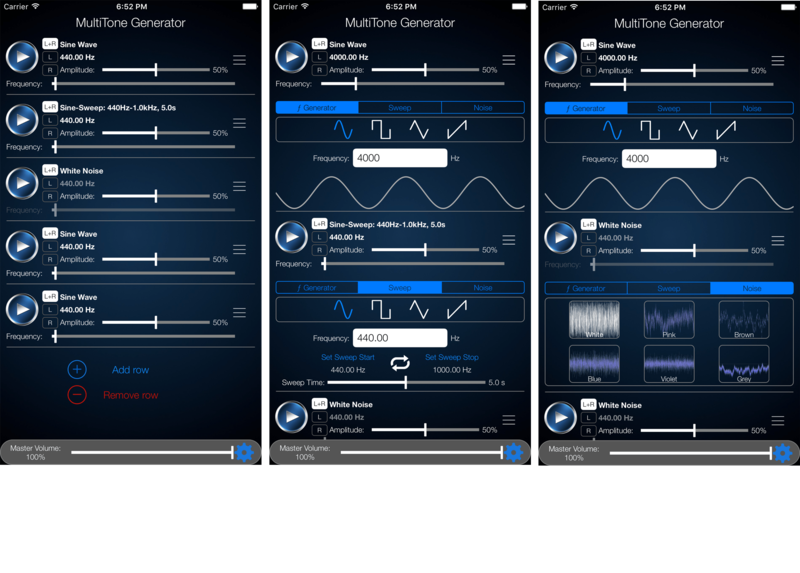 The MultiTone Generator is AMAZINGLY INTUITIVE and SIMPLE!